Where do you live? Penngrove, CA Just outside of Petaluma in Sonoma County. How long have you lived there? Over 6 years now. Full time job? Semi-retired. Working as a business consultant. Right now most of my work is marketing and sales with a label manufacturer that supplies wineries, pharma, food, and cosmetic companies. Who is your favorite author and book? I don’t have a favorite. It’s usually whomever I’m reading at the moment. And I’m not reading at the moment because I’m finishing up my next novel. What is your preferred genre? Mystery/thriller. How did you start this journey to become a writer? I enjoyed writing as a kid and I had allot of encouragement. What have you written so far? Two novels, and I’m finishing my third in the next few weeks. Tell us about your current book. 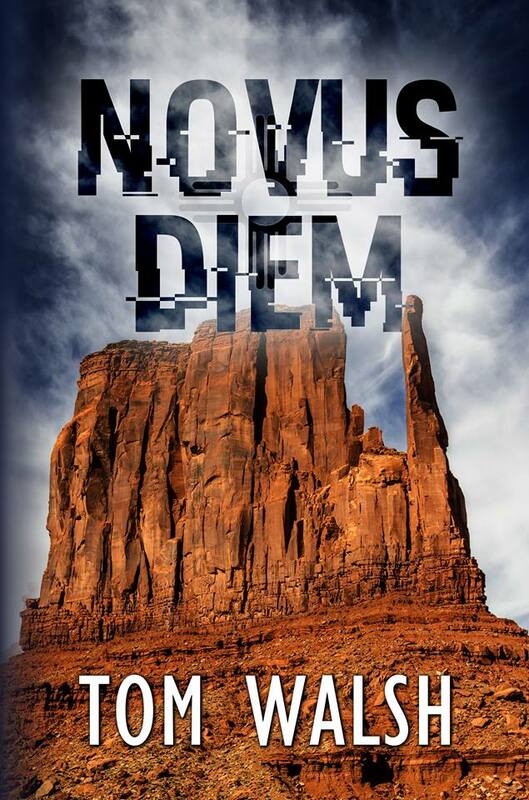 Novus Diem (new day), which was recently released is about a research scientist who is working at USCYBERCOM. After terrorists detonate a dirty bomb in Jerusalem she finds herself on duty when there is a nuclear counter strike. She decides to deploy her untested technology which is a computer virus designed to bring down Iran’s nuclear program. Things don’t go as planned and she suffers the consequences. She also finds herself in an unlikely romance with the man who is interrogating her about her actions. 7.What is the inspiration for your current book? Current events really, and of course the threshold of emerging technologies. I try to incorporate these things into my writing. 8.Who was your favorite character to write and why? Dawne and Donovan are the two lead characters. I like their interplay and the dynamic of these two working together. 9.Is there anything of you in that character? I think that there is an element of risk taking in the stories that have also been part of my nature. 10.What sets your book apart? There’s a little bit of sci-fi that is essential to the story, but it butts up against Native American beliefs and spirituality. It’s another interesting dynamic that I really had fun researching and exploring. 11.What’s your favorite part in the book? There’s a face-off between a Navajo chief and a U.S. Military General. I dedicated a chapter to it so it’s too long to read here, but I had allot of fun with it. The chief is witty and funny and the general is quite unprepared. 12.What was the most difficult part to write? There are intimate moments, and those are difficult because you don’t want to go into so much detail that it takes away from the story. I leave the unsaid to the reader. I trust the readers imagination to fill in the blanks where needed. 13.What was your favorite book to write? This one. It was fun. 14.How do you write? Do you have a set time or place? How many hours a day? Every morning with my first cup of coffee. 15.Why did you want to be a writer? I just always did, since that first positive feedback way back in grammar school. 16.How do you get your ideas? Current events, movies, and other books. I think you have to observe creatively to produce creatively. 17.What do you have planned next? This will be a series, so I am just about finished with book #2, Post Diem (next day). Then it is on to the third. 18.What advice would you give new writers? Start now, keep writing, don’t stop.